It's Wanderlust Wednesday! 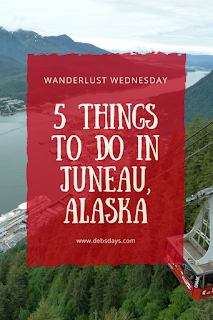 Today we're talking about what to do in Juneau, Alaska. 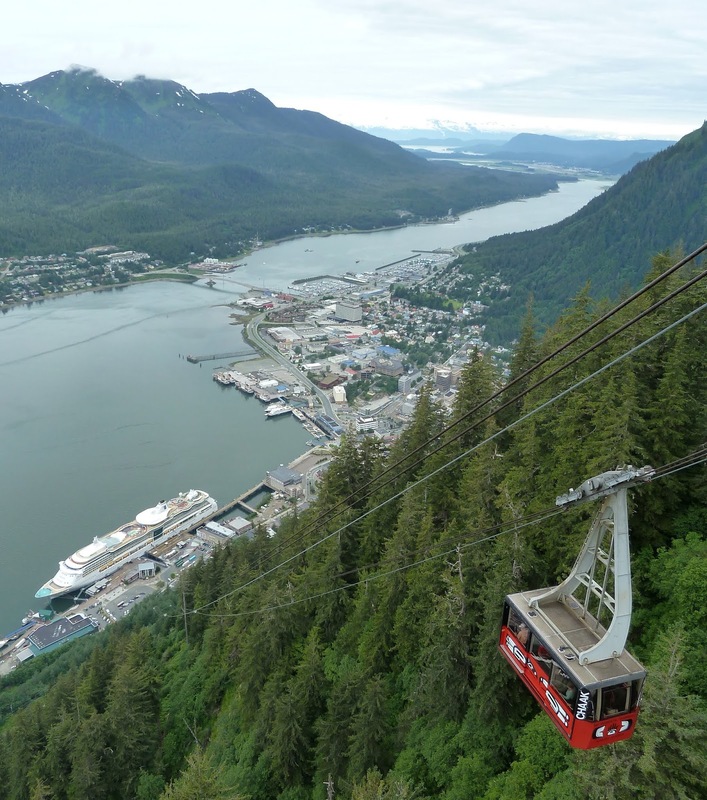 Juneau, the capital city of Alaska, is landlocked. While you can drive all around Juneau, the only way in or out is by boat or plane. It's also big. 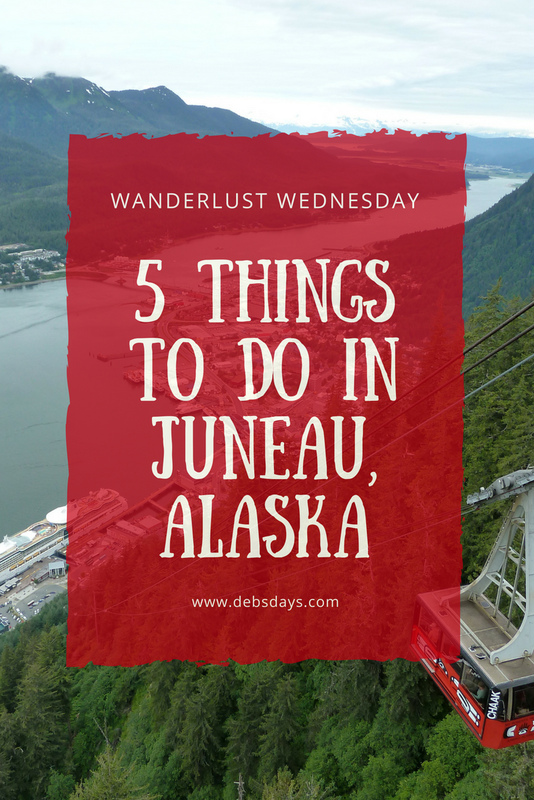 The Juneau area covers over 3,200 square miles and covers almost as much land as the states of Delaware and Rhode Island put together. With that much space there is plenty to do. 1. Take a seaplane to see the glaciers from above. Glacier flighseeing tours give you a birds eye look at the numerous glaciers in the area. They are quite popular - and a bit expensive. 2. If you'd like another way to see a glacier, check out Mendenhall Glacier. Ship excursions and independent tours go to Mendenhall. If you want the cheapest way to get there, a city bus can get you within a mile or so of the visitor center. There are several trails around Mendenhall Lake, where the 13 mile long glacier ends. Our favorite one leads to Nugget Falls. More details about getting to Nugget Falls can be found here. 3. 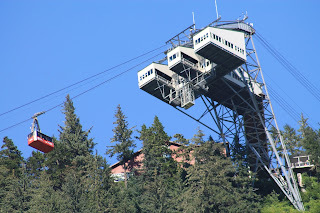 Take a ride up the Mt. Roberts Tramway. 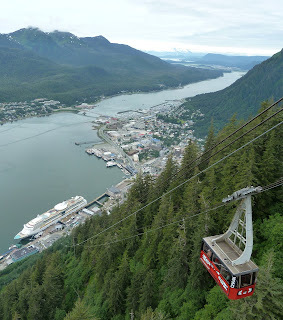 Soaring 1,800 feet in the air, you'll get great views of the Juneau and Gastineau Channels. At the top you'll find observation areas, a nature center, gift shop, theater, a place to eat, and hiking trails. 4. 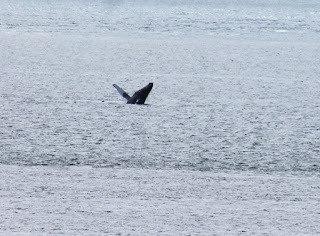 Go on a whale watching tour. 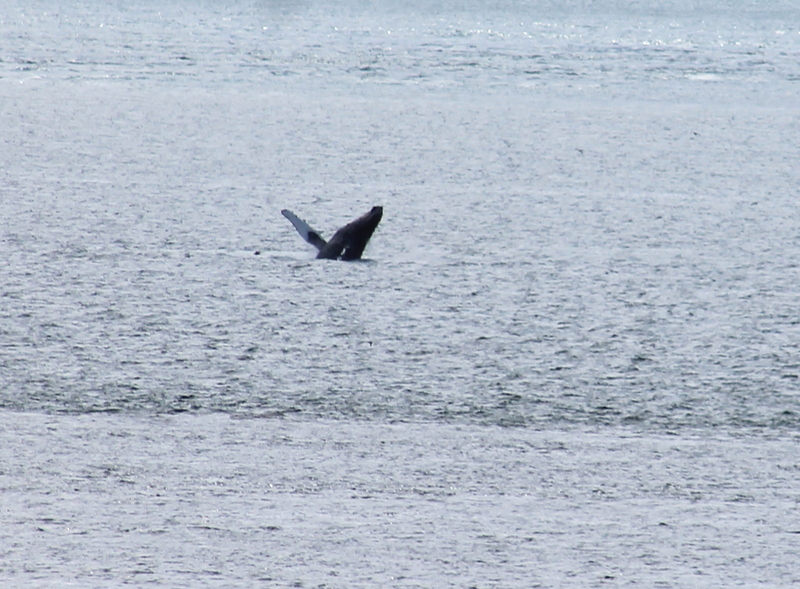 The area is abundant with whales. Flukes? Yep. Breaching? If you're lucky. 5. Eat like a local. Breweries and restaurants and cafes. Fish and pizza and local beer. The ship docks within walking distance to tasty food and drink. 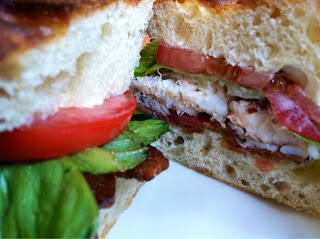 How about a Dungeness crab BLT from the Rookery Cafe?